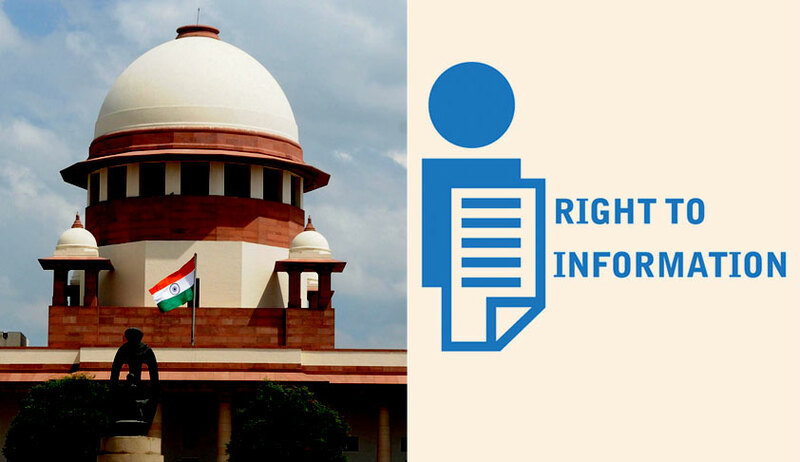 The Supreme Court on Thursday reserved its order on public interest litigation Aseer Jamal v. UOI that brings to light the grievance of a large portion of the population in being unable to exercise the right to information. A bench of Chief Justice Dipak Misra, Justice DY Chandrachud and Justice AM Khanwilkar asserted that guidelines shall be issued in pursuance of which the states may amend the RTI Rules of 2012 to secure access of information to inter alia the visually impaired, the orthopaedically handicapped, and those unable to write or converse in Hindi. Addressing the concerns, Attorney General KK Venugopal drew the attention of the bench to the proviso to section 6(1) of the RTI Act of 2005, which requires the Central or State Public Information Officer to render all reasonable assistance to reduce in writing a request made orally when a person could not make a request in writing. “Several states have a provision of Braille, even audio files and help desks...,” he added. “Where the applicant may not know which PIO (Public Information Officer) to apply to, Sub-Section (3) of Section 6 requires the PIO to whom an application is made in respect of information held by another public authority to transfer the same to the latter within 5 days,” submitted the AG. “The online mode is better than the offline mode...it helps in preventing the misuse of public money...all states do not allow an online mode...Your Lordships could direct the same...,” he continued. “The states of Karnataka, Maharashtra and Punjab have set the online mode,” noted Justice Chandrachud. The AG also referred to Rules 5 and 6 of the RTI rules, exempting persons Below Poverty Line from the payment of application fee and fee for providing information and accepting fee in cash, DD, banker’s cheque and even electronic means such as the RuPay card, respectively. When the bench inquired if the Rules also apply to the states, the AG conceded that guidelines may be issued in respect of aspects not covered under the Rules. “The AG is saying this is the situation of the Centre...it may not be so in the states...we will issue guidelines so that the rules may be amended...,” the Chief Justice assured the counsel for the petitioner.